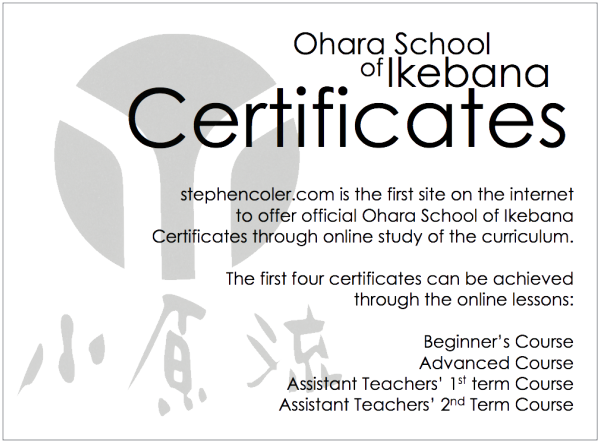 stephencoler.com is the first site on the Internet to offer Ohara School of Ikebana Certificates through online study of the curriculum. Each certificate acknowledges that the student has acquired the appropriate skills through the lessons and is ready to move on to more advanced forms and styles. 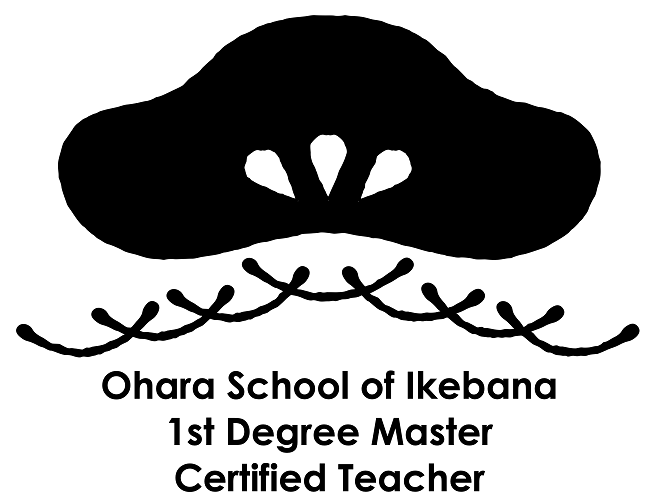 Each certificate builds on the skills and techniques learned in the previous lessons of each course, helping you to refine your skill set and give you a greater understanding of ikebana. Assistant Teachers' 2nd Term Course. To receive the certificate, pictures of each completed lesson must be submitted to Stephen. He will look at the pictures, give feedback, and give any necessary revisions. You will then have to make any necessary revisions and send another set of pictures to Stephen for a final check. After the course lessons have been completed and revised, an additional fee (certificate and shipping), paid through your PayPal account, will be billed to those who are interested. The certificates will be sent to stephencoler.com from the head office in Kobe, and we will then mail the certificate to you from Japan. A Certificate Course, where you will receive all of the videos for the certificate at the same time, is also available. You can work your way through the course at your own pace, learning about the different forms and styles, increasing your individual skills. Please e-mail us for more information if you are interested.